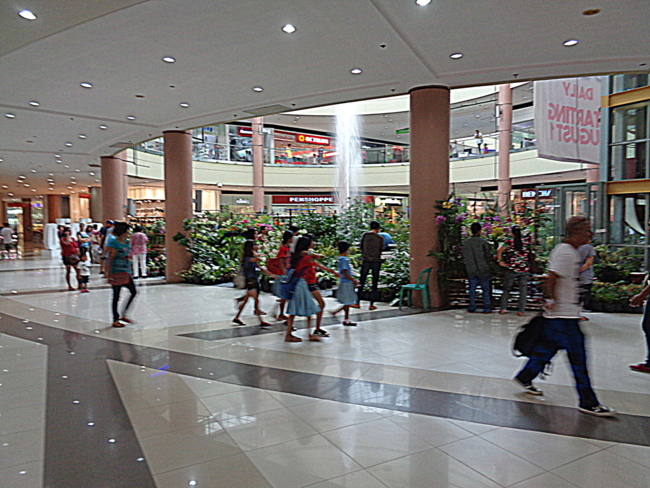 We missed the police/protesters clash in Iloilo. 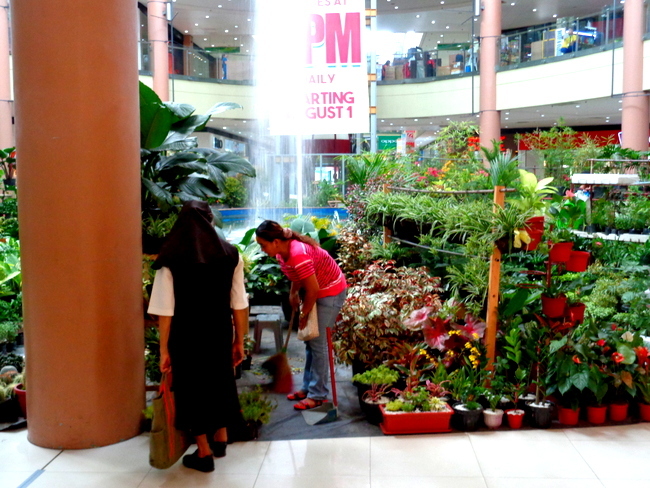 My asawa and I were shopping for plants and flowers at Robinsons Mall in Iloilo City this past Friday and Sunday. Anti-riot police officers clashed with some 800 marchers protesting the Asia-Pacific Economic Cooperation (APEC) meeting here yesterday. The protesters, mostly farmers and peasants, according to Panay News, were attempting to reach the Iloilo Convention Center at the Iloilo Business Park where the Asia-Pacific Economic Cooperation, APEC, was holding holding a dialogue on food security. Food security is one of the key issues in the Asia-Pacific. The region is home to 70 percent of the hungry population globally. The protesters were specifically against APEC’s push for member economies to practice “genetically-modified farming” in the region to ensure food security. They claimed it would adversely affect the environment and threaten human health. The protesters believe genetically-modified food could bring health risks like cancer, diabetes and Parkinson’s disease, among others. Some of the rioters threw stones at police. In response, cops armed with shields and truncheons blocked the protesters at Jaro plaza around 2 p.m and pushed them back. My wife and I, however, were blissfully unaware what was going on. Truth be told, I prefer to be ignorant which is a good thing around our house. I don’t hear about any local news, such as a favorite relative dying, usually until months, or even years, later. Poor Cousin Betty has been in a coma after a stroke she had several years ago. Last I heard, she was still in the coma but for all I know could have kicked the bucket by now. But my “spidey-sense” should have tingled, especially when we spotted the presence of the local PNP, Philippine National Police, at Jordan Wharf in Guimaras, when we took off for Iloilo. 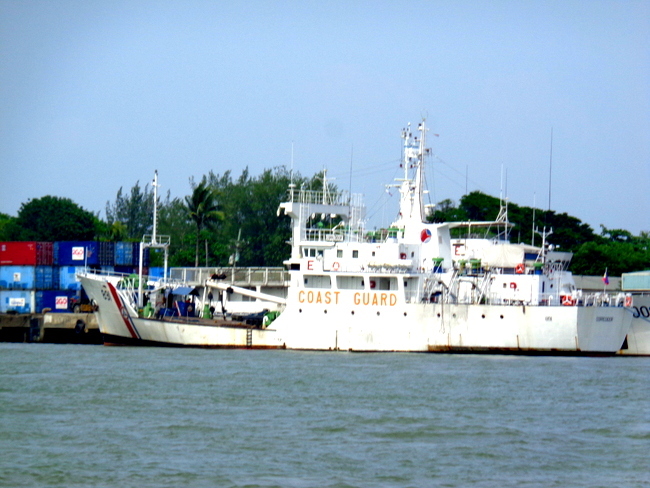 So when we arrived in Iloilo and saw the Coast Guard vessel seen in the photo above, I figured security would be tight that day in the city. 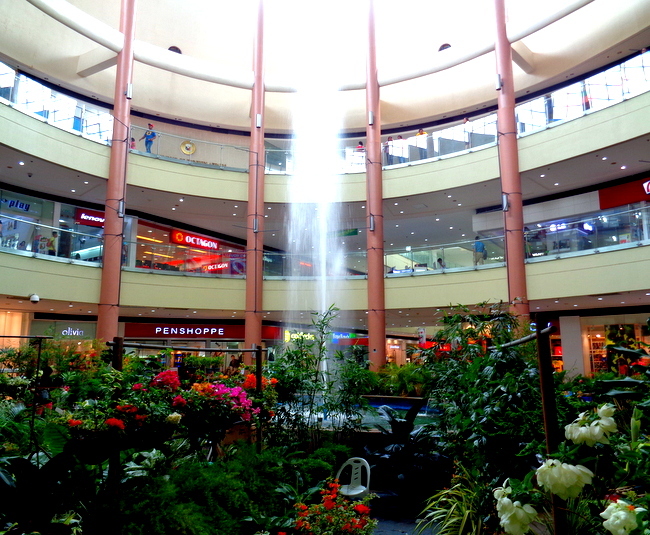 But I was focused on helping my spouse find some new plants, trees and flowers for our new house in the Philippines. 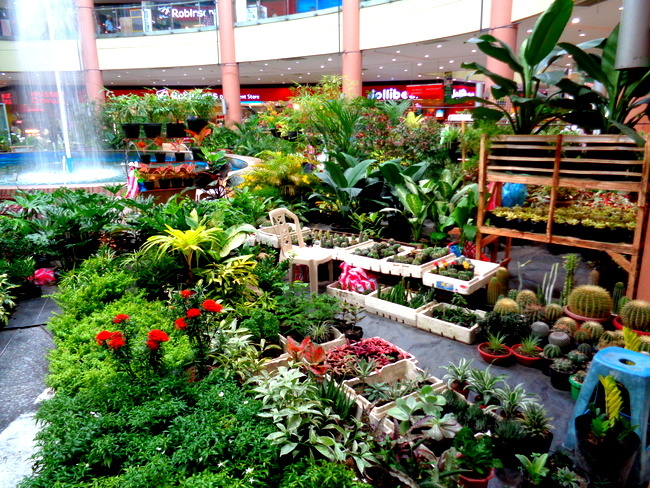 Robinsons occasionally has a huge plant sale near their fountain area, seen below, and we were fortunate that the sale had begun again a few days ago and would run the whole month of October. 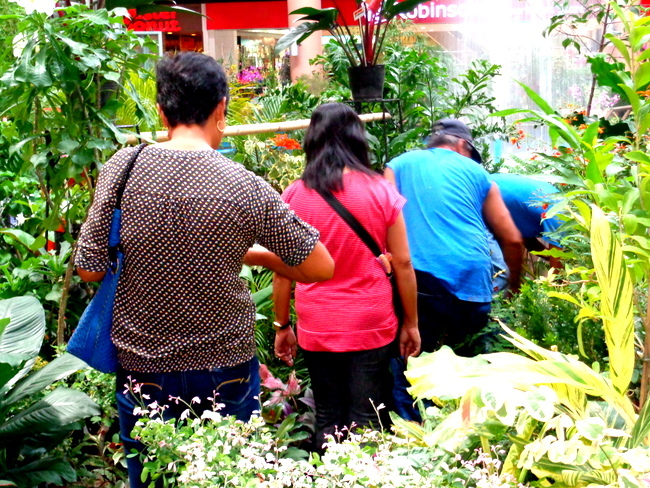 A local sister was checking out the various plants on sale in Iloilo as I stood patiently by and waited as my asawa begin her search. 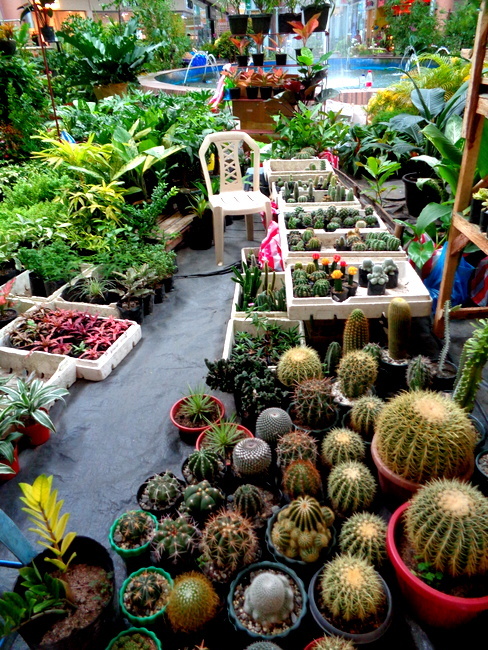 We had recently bought some pot in Guimaras and needed some new flowers and plants to put in them. My super spouse has a green thumb and loves to garden. She spends hours each day lovingly caring for her “babies,” as she calls them. It’s her therapy. Living with me, I can assure you she needs a lot of therapy. 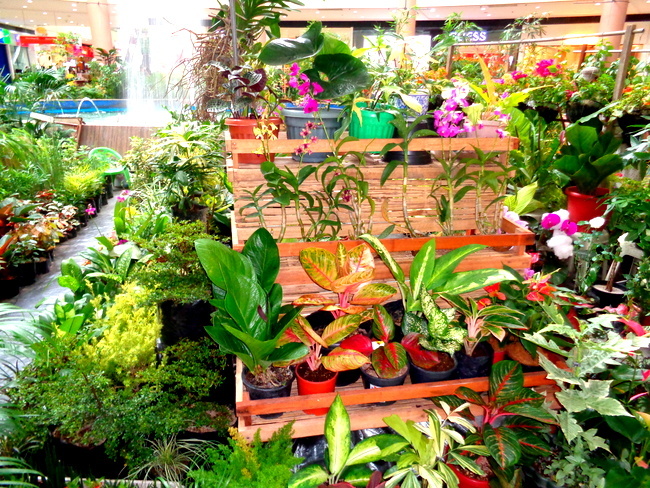 My wife spent a couple of hours on Friday looking for plants and spent around 7,000 pesos, 150 US Dollars. I asked her later that day if she wanted some more plants. 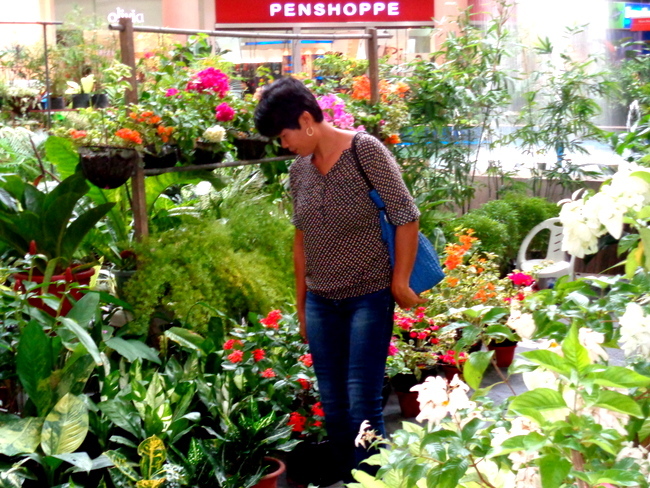 Of course, she answered “yes,” so on our return trip this Sunday she plunked down a few thousand more pesos and picked up some dwarf pomelo trees along with a batch of new flowers. That’s her in the next photo looking for some more bargains. My wife does not practice organic farming but does use a steady stream of cow poop produced by our brother-in-law’s cow that grazes on our property. The cow has a name but I only call it “the cow.” He’s going to end up being somebody’s hamburger some day and I don’t care to get attached to it. Besides, the cow sometimes blocks the path to our gate and I have to honk the horn of our truck to scare the beast away. 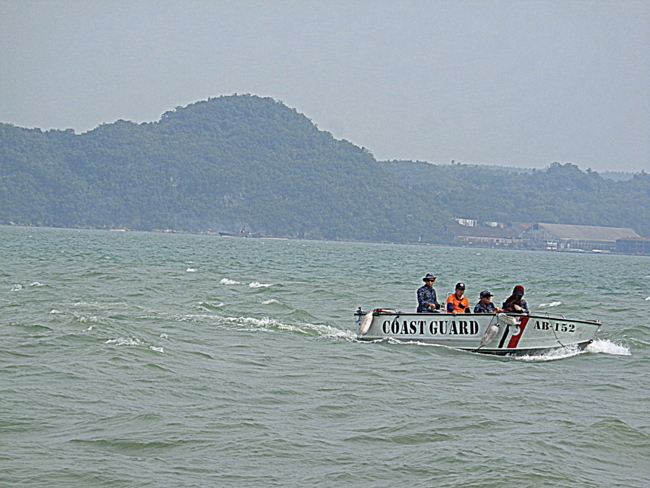 We had to hire a boat for a “special trip” at 500 pesos, about 11 bucks, to haul all of the plants away that Sunday. But we thankfully missed the protest and arrived home safely, with nary a plant or flower damaged, which is a good thing. The only time my spouse scolds one of our three dogs is when they try to tear into one of her precious plants. I can guarantee you they don’t try to do that very often. They’re not that stupid. Happy wife happy life, Derek in sunny pasig. I think gardening must be one of there favorite hobbies. my asawa sister has a ton of flowers and food plants growing at the farm. I’m beginning to think she’s trying to grow flowers for the whole town. but it’s ok keeps her happy. I’ll stick to my hobby beer consumption LOL….. I agree, Roger, on both counts. My knowledge of beer consumption far outweighs my knowledge of gardening. Anne would love that plant sale at the Robinson’s. Melinda has to keep the dog’s away from her plants and Anne has to keep the snails away. Every morning, especially after it rains we get an invasion of snails who try to eat her plants. So every morning we hunt for snails and smash them lol. We also have a problem with snails, Papa Duck, though the dogs are a bigger issue. Whenever we take a walk, Melinda is always smashing a snail even though it might be far from our house. She always takes a preemptive strike against the buggers.